Yeah, I know this isn’t news, but sometimes it’s good to re-visit a winner. Here’s the basic idea: take superior coffee ice cream, smash up a lot of Heath Bars, and mix. 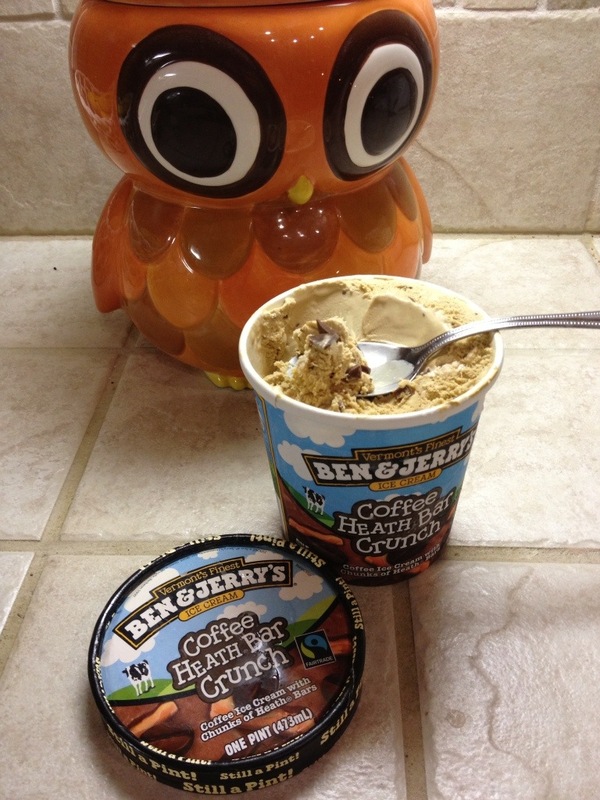 Ben & Jerry don’t just put bits of Heath in, there are huge hunks in there. It’s rich, and sweet, so one small bowl is very satisfying. This is a premium ice cream, and worth every penny. Posted in Ice Cream, Milk chocolate. Bookmark the permalink.